When you have type 2 diabetes or prediabetes, meal planning can be a challenge, right? When you're looking around online at all the delicious food pictures and recipes, you can find that many of them have too many carbs (some up to 60 grams per serve – wowza!!). Or, you might find that many recipes don't provide nutrition facts at all, so you have no clue how many carbs they contain – and knowing your nutrition facts is the difference between good blood sugar control or not! We understand, when you're trying to manage blood sugar levels, finding meals and recipes that are truly diabetic friendly can be problematic. 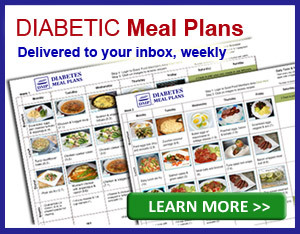 Our weekly diabetes meal planning service helps solve all your food and eating problems for good! You can relax and let us do all your meal planning so you can enjoy life more while regulating blood sugar and A1c at the same time. Keep reading to learn more about all the benefits our diabetes meal planning service offers you. TESTIMONIAL: “Since being a member my blood sugar level has dropped considerably. I love not having to worry about what to eat and having access to all your recipes.” ~Lorraine W.
You don't just get weekly meal plans, you get access to our “smart meal planner” that helps you make adjustments to your meal plans and manage your carbs and calories more effectively. Watch this short video to preview some of the things our “smart meal planner” can do. This adds the plan to the smart meal planner where you can make any changes you like. 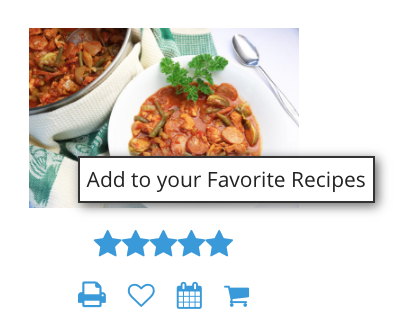 Swap and change meals as you please – you can select meals from your recipe database or favs (see below details). Add breakfasts and snacks to your plans. The smart meal planner recalculates nutrition facts automatically as you make changes. Easily change the number of servings for each recipe or meal. TESTIMONIAL: “I love all the delicious recipes that are easy to understand and prepare. I love the versatility of the members site. I'm able to add, delete and personalize my meal plan so that it fits my schedule and taste. My husband is a picky eater, but he's enjoying the dishes too!” ~Kat. Every single meal/ recipe contains standard nutrition facts food labels, with all the nutrition facts you need to regulate blood sugar and A1c and meet your health goals. If you want to swap and change meals in your plan, you can easily do so. Our “smart meal planner” will recalculate your nutrition facts automatically, so you can always plan ahead and know what's what. The weekly meal planning service provides you with 4 lunches and 4 dinners planned each week. Something important to note is, we don't just gather generic recipes from around the web. We develop each and every meal in our menus. 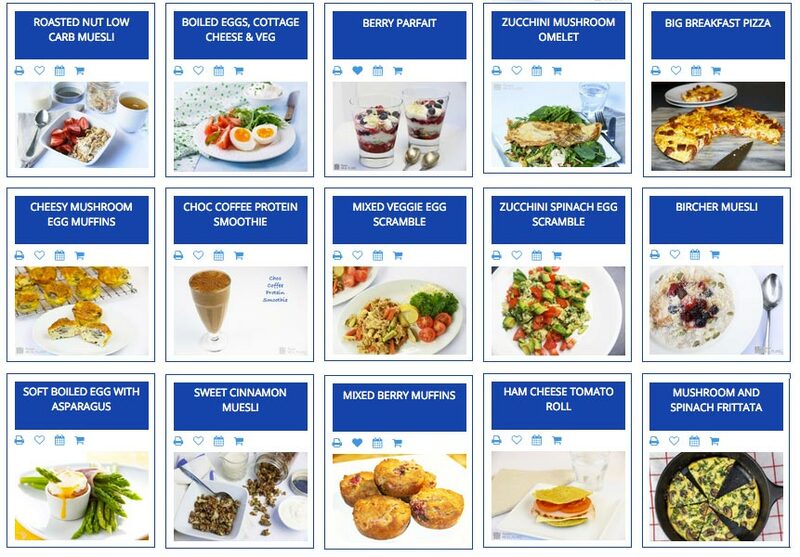 Plus, you'll also have access to our breakfast recipe selection (60+ recipes, which we will continue adding to), so you can add your own breakfast options to the plans if you desire. Simply select a breakfast and click “Add to Meal Planner”- your daily nutrition facts will recalculate automatically. Why only 4 days planned? It's tough to follow an entire meal plan for the whole week, and most people don't. We've found that 4 days works well. With 4 days (plus leftovers most weeks), you should find it more than adequately meets your weekly dietary needs. You can choose to follow the entire meal plan, or make just one or two meals. Either way, you'll keep inspired and motivated! When you save the weekly meal plan to our “smart meal planner,” you can swap and change meals and add meals from the breakfast selection to your plans. All your nutrition data and shopping list calculates automatically with any changes you make. TESTIMONIAL: “I finally went all-in with the new meal plans, and they have been great so far. I am very pleased (and so is my wife). Thanks.” ~Doug W.
Please pin, tweet or share; then keep reading about our meal planning features. 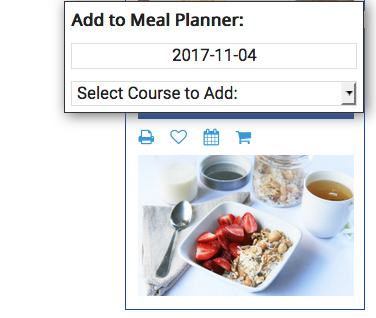 When you Sign up for a Meal Plans Membership, the recipe database works differently, depending on the membership you choose. When you join as a VIP Member, you'll have instant access to ALL our recipes (800+ and growing), which means you have more options for swapping and changing your plans to suit your preferences. 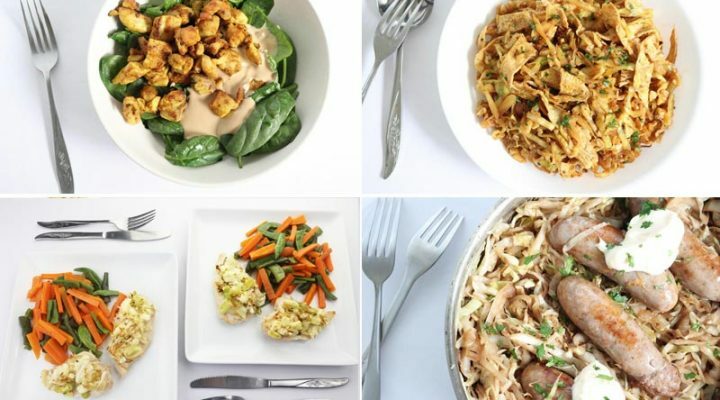 If you join on a monthly subscription, you only have access to 8 weeks of meal plan archives. Along with the breakfast and snacks selection of recipes. The recipe database also offers advanced recipe filtering, to help you find recipes suited to your preferences. NOTE: This feature is only available to VIP Annual Members. NOTE: If you have allergies, it is recommended you choose the VIP Membership option, as each weeks plan may only offer limited options. With the VIP membership you instantly have a larger recipe database to choose from, which will enhance your options in terms of dietary preferences. As you try meals, add them to your favorites collection with the click of a button. Then, using our smart meal planner, you can swap and change meals and add your favs to your plans in future weeks. Once you're satisfied with your meal plan, it's just 1-click to get a shopping list. You can even add additional items to your list, then access the list from your smartphone and tick off your grocery selections as you're on-the-go. We have 2 types of smart shopping lists available. Meal Planner Shopping List: This list is attached to the meal plans and will rebuild itself automatically as you make alterations or additions to your meal plan. Regular Shopping List: If you only want to cook one or two meals, or cook your favorites, add them to a shopping list with 1-click so you can access the grocery list. TESTIMONIAL: “Being a member keeps me organized. I don't have to think about what I eat! I love all the recipes. I really really like the cooking videos! Most helpful indeed! Keep up the great work!” ~ Patty. Our top priority is to provide you with meal plans that help you lower blood sugar and A1c. To do that, research shows, and so does our experience, that following a lower carb diet produces the best results. That's why ALL our meals are low carb. You don't have to worry about carbs because we do it for you. Just stick to our recommended food list and meal plans, and you will see better blood sugar results. We also cater to food intolerances, especially for those who cannot eat gluten. That's why all our meals are also gluten free. We understand it's easy to eat out of a packet – we've all been accustomed to doing it on a regular basis. But the premise of gaining better control is to get back to good ‘ol fashioned home cooking. 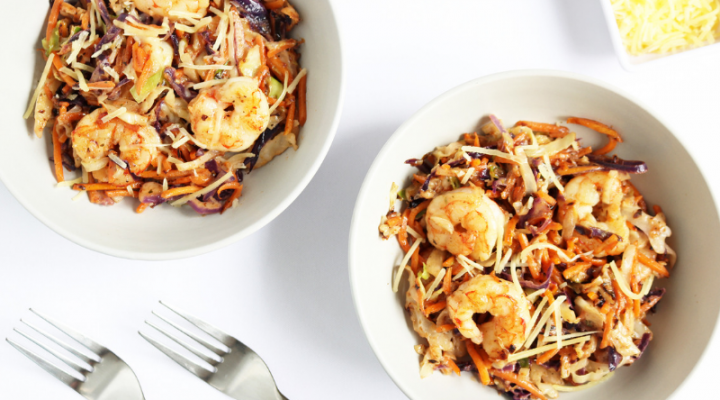 Of course, we don't want you slaving away in the kitchen, so we show you just how easy it is to make delicious blood sugar friendly meals – many of them can be made in minutes! We've got 150+ cooking classes available and we're adding new ones each week. If you want to make this meal, you can find the full recipe here. Meal plans are important because what you eat has a BIG impact on your numbers. But, more importantly, we provide the ongoing support and encouragement that helps you get results and maintain them! TESTIMONIAL: “My health has improved dramatically. I now am taking fewer medications and maintaining an A1C of 5.8! Eating low carbs has become habit, and requires much less struggle. Every time I look for specific information, I am pleased and informed to find it. Keep up what you do! You have earned my trust! My doc is much more impressed now than he was when I began this diet change.” ~Sheryl D, 2 year VIP member. Do the plans use crossover ingredients? Yes. We want to minimize your cost and reduce food waste, so each weekly plan is designed to use up ingredients where possible. Does DMP develop and cook all the meals? We do not gather meals from around the web, like many meal planning services do. We develop every single meal in our menus. We cook every meal, photograph them, and design them keeping you in mind the entire time – this meal planning service is designed specifically for people with type 2 diabetes and prediabetes. A lot of thought goes into the meal plans so they are easy to make, have crossover ingredients, and most importantly, taste good! What types diabetes diet do the plans follow? Here at DMP, we encourage a low carb diet because research shows it produces great results for blood sugar and A1c control. And our members are getting great results – read what they have to say. Overall, we generally stick to this recommended food list. You'll see that it's mainly real foods, whole natural foods, because that's what makes up a healthy eating plan. Our plans are based on lean protein sources (chicken, turkey, beef, salmon, fish, seafood, etc), non starchy vegetables and healthy fats like olive oil, nuts, seeds and avocado. Plus the inclusion of dairy products like Greek yogurt, cottage cheese, cheese, and cream sometimes. Our plans are high in dietary fiber and therefore are low glycemic index. Basically, they are healthy food plans, designed to help you live a healthier and happier life! We try to use ingredients that are readily available. However, just note that you will need to stock your pantry with a few unusual items in the beginning. For instance, liquid stevia extract or another suitable sugar substitute. Or low carb flours such as almond flour or ground flaxseed meal. We don't encourage foods such as bread (even grain bread or whole gran bread varieties), because research shows they don't help with blood sugar and A1 control. You can add these items to your own menus if you want to, and we also have low carb bread options available, for VIP Members. 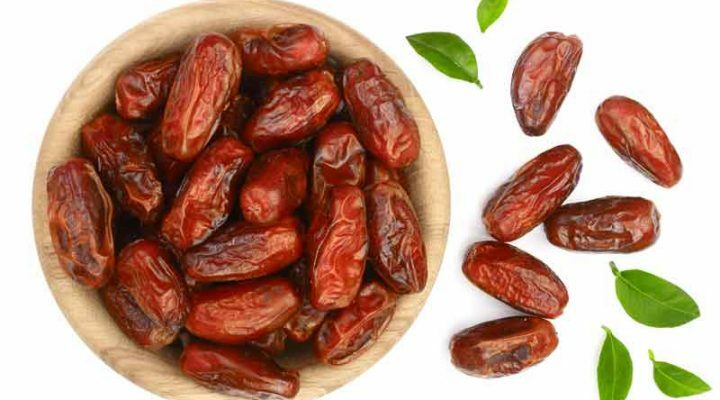 We don't encourage other starchy vegetables and foods (potatoes, sweet potatoes, pasta, rice etc), dried fruits, sugar, fresh fruits that are high in carbs like apple and banana. And we don't encourage using processed foods full of ‘added' sugars. But again, we do have plenty of low carb alternative options you will discover by being a meal plans member. What type of diet do the plans follow? We encourage a low carb Meditterranean-type diet plan. A diet high in plant foods such as non starchy vegetables, high dietary fiber, healthy fats, lean protein and dairy products. Our plans align with current research and also meet the American Diabetes Association guidelines, along with other diabetes organizations worldwide. How many servings are the plans designed for? The serving size is for a 2-person plan. But if you add the meal plans to the “smart” meal planner, you can easily change the number of servings. Portion sizes are generous and can often be stretched. Will I lose weight with these plans? Weight loss is a possibility. Many of our current members have managed to lose weight, some of them quite a lot of weight in a small time, and so could you. Our weekly meal planning service doesn't but you can access our vegetarian meal plans here. How many grams of carbohydrates do your meal plans contain? Since we plan only lunches and dinners, your plans could vary, dependent on what breakfasts and snacks you include. In general we encourage a low carb diet of around 50-80 grams of total carbs per day, and our meal plans reflect this intake, which is working very well to help our members get results. If you want to eat more or less carbs, you can swap and change meals from the recipe database. You can even filter recipes in the database by total carbs and net carbs. Overall though, we encourage you to eat up to an absolute maximum of 100 grams of carbs per day. Are your meals easy to make? 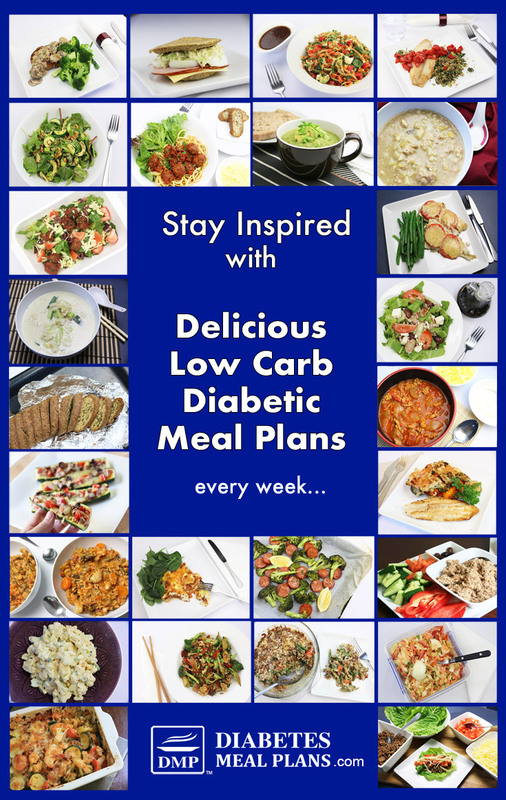 Our goal is to make diabetic low carb eating as easy as possible for you. Many of our meals are made in just 15 to 20 minutes. Others take 5 minutes prep, then bake or slow cook. Wherever possible, we take as many shortcuts as we can to save time. And we include video cooking classes on a regular basis so you can build on your skills. TESTIMONIAL: “3 months ago my A1C was 8.7 and my recent blood work showed it at 7.4. My endocrinologist was very impressed and thinks I will be at the target level by my next testing in 3 months. Just eating your meal plan for a month and seeing the results gives me motivation to continue. Thank you for your dedication to diabetes research and food plans.” ~Gloria G.
Not vegan, but we do have vegetarian meal plans if that is of interest to you Terri. Check out this resource for some information about following a low carb, vegetarian diet. Are your meals plans available all gluten free also? Yes, all our meal plans are gluten free Susan.